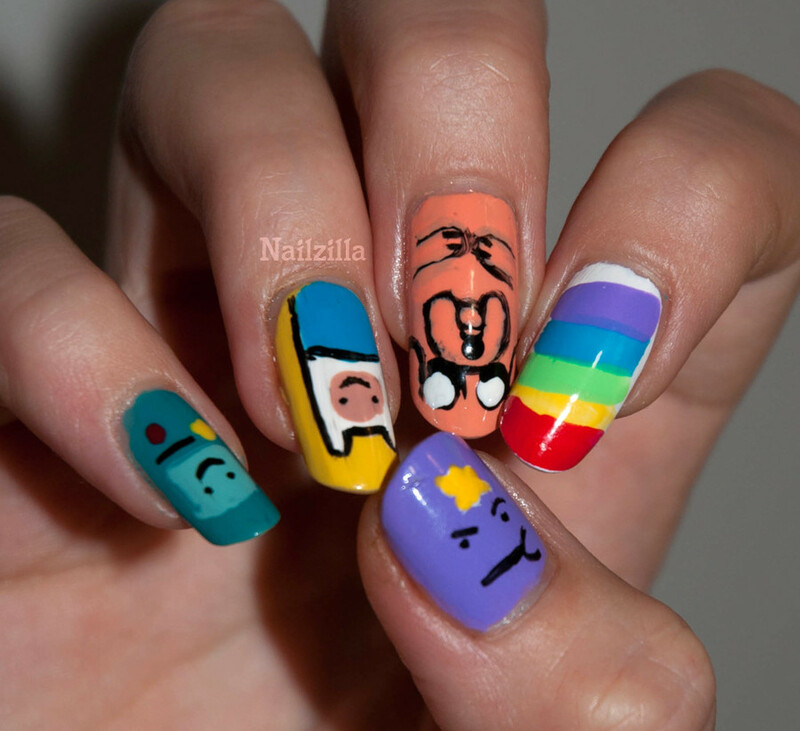 It's nail art time! 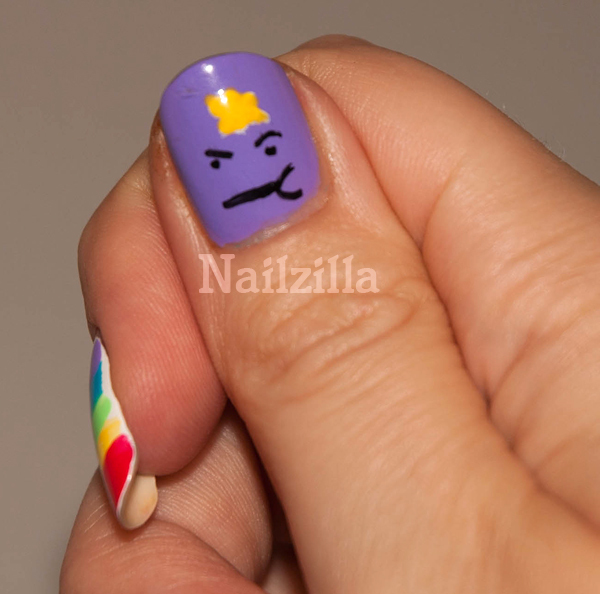 I attempted some nail art, inspired by the cartoon Adventure Time. All of this was freehanded, but I think its about time I invest in some acrylic and nail art brushes - this turned our messier than I thought. However, the rainbow was my favourite part. I might have to do all-rainbow nails sometime. What do you think? We're more into Phineas & Ferb and stuff. Rainbows: I think this is going to happen - too fun not to! I haven't seen the show either but your art is awesome! 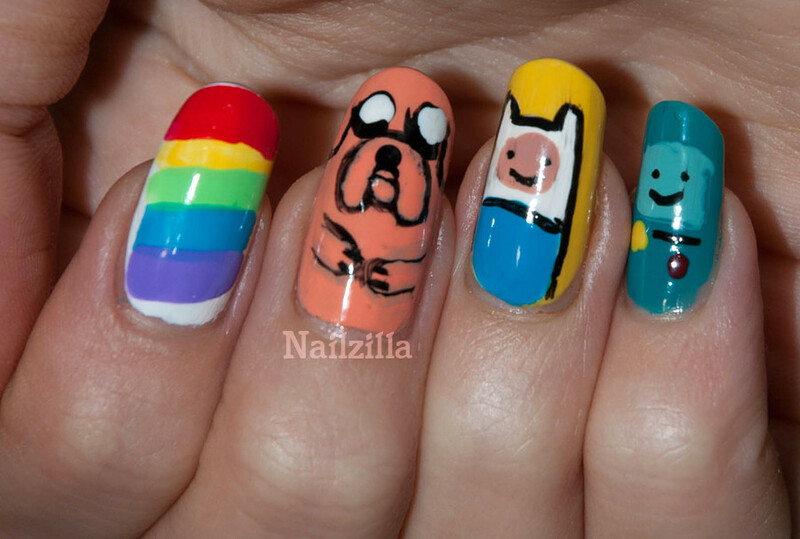 I can't wait to see your rainbow mani! Thank you! Yes, rainbows should be fun.